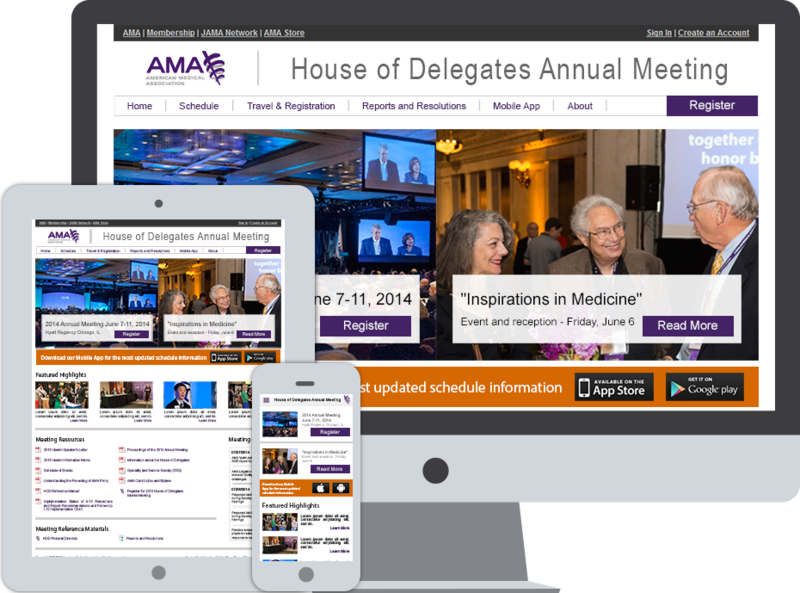 The American Medical Association (AMA) has an annual “House of Delegates” meeting where thousands come into Chicago to attend a massive conference. 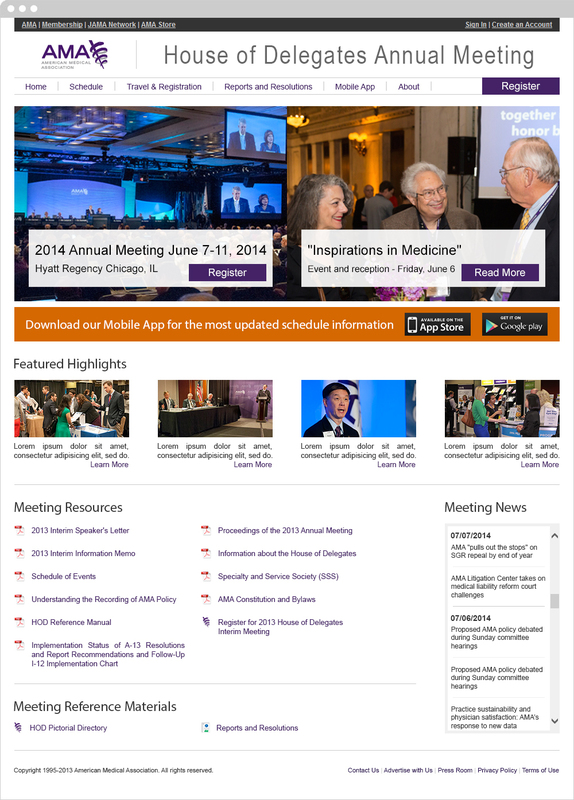 The AMA wanted to design a responsive website to promote the meeting. 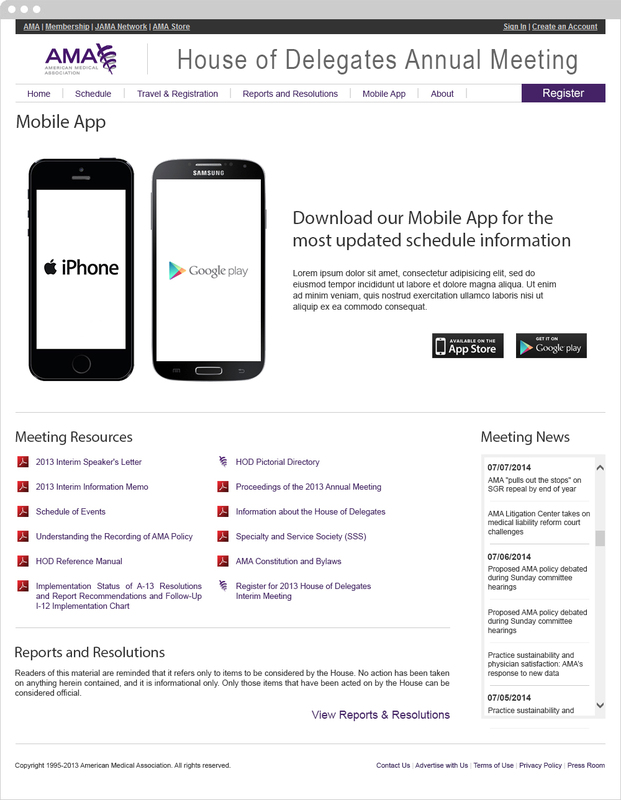 The design had to promote event sign up, special receptions and the mobile apps built specifically for members. Before I worked with the AMA they never had an interactive designer, they relied on a combination of front-end developers and print designers. My original task was to take a home page and design the internal pages. 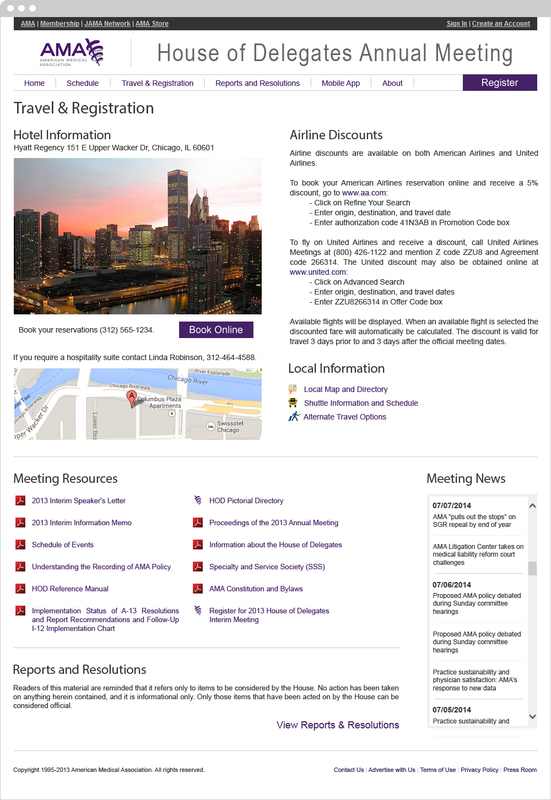 I quickly realized the design looked more like a print brochure than a responsive website. At this point I decided to take a risk, I scrapped the work I was given and did a complete redesign. I presented the same information, however I organized it better and designed it in a way that promoted the event and mobile apps. After doing a few rough drafts I worked with the developer to streamline them to make development easier. Once this was completed we presented the new designs to the group and my gamble paid off, as they loved the work. The decision was made to duplicate parts of the navigation. We had the more important elements repeated with the footer of the mobile version, this allowed the user an extra option when browsing the site. This was the first responsive site I have ever designed.